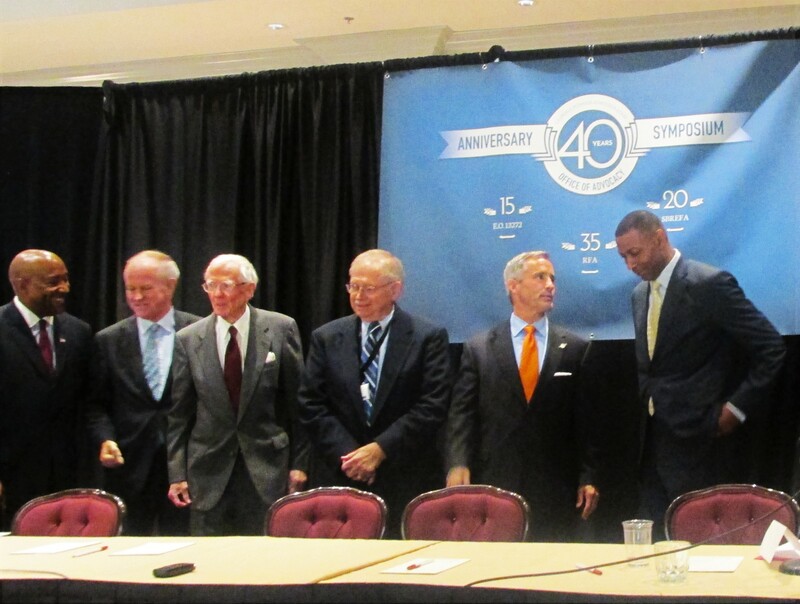 At the 40th Anniversary Symposium for SBA’s Office of Advocacy, June 22, 2016 in Washington, D.C., former Chief Counsels reminisce. Still, 40 years after the creation of the Office of Advocacy and other legislation was passed, the Office of Advocacy still needs more influence to enforce required small business review panels at many federal agencies that regularly ignore the well-being of small businesses across America. See SBA Advocacy Part One and Two. For more information, contact FederalAllies.org. This entry was posted on Tuesday, June 28th, 2016 at 12:46 am and is filed under Federal Allies Network, Legislation & Reg-Flex, U.S. SBA Advocacy. You can follow any responses to this entry through the RSS 2.0 feed. You can leave a response, or trackback from your own site.